Once thought lost to time and space and sea... another ancient civilization has returned to BadWolfMC! Packed with more secrets than perhaps even the Doctor herself, we are proud to offer you the chance to discover Atlantis! 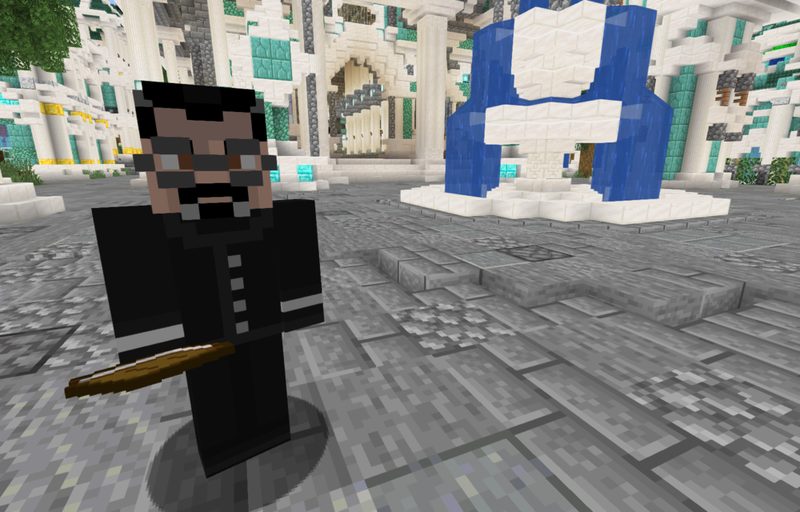 Visit using the portal at /worlds or /warp Atlantis! When you first climb the city steps, have a chat with Professor Carl Thascalos of Athens University, who is on a quest for the fabled Heart of Atlantis — an ancient vault rumored to house an artifact of incredible power and value. Through a series of tasks that include battling monsters, finding hidden locations, and helping the townsfolk, assist Carl in finding the 9 pieces of the mystical artifact known as the Key to the Heart of Atlantis. Each piece must be found in order and returned to Carl in order to accept the next task. To see where you are on your current quest use the /quest command. Prizes for completing the quests include turtle eggs, a conduit, and an Atlantean Turtle Helmet with Respiration 10. Professor Carl Thascalos has a quest for you! 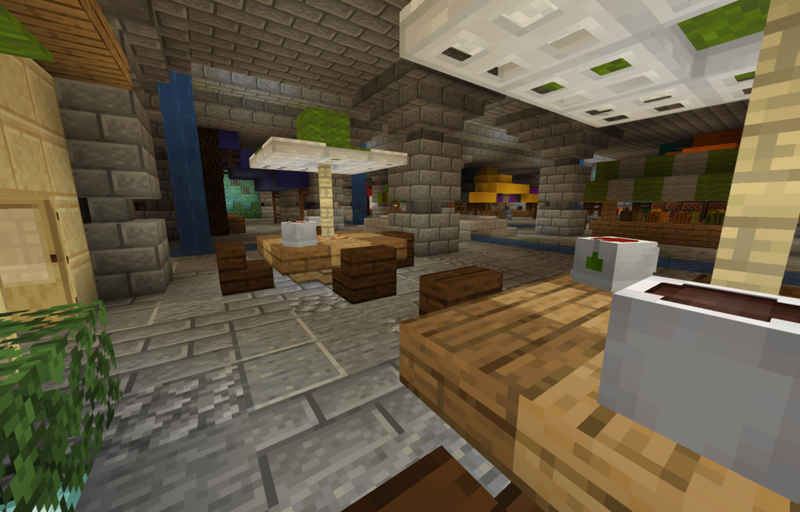 Stop by Skarobucks for a pick me up in Atlantis’s Black Market! Atlantis has many hidden secrets and passages, including a hidden Black Market that houses a branch of the BadWolfMC Bank, Stormcage Atlantis, and even a Skarobucks where you can chat up the cute Dalekista! Travel in style around Atlantis in the very cheap and extremely fast Atlantean Ferry, located in the docks of each island! 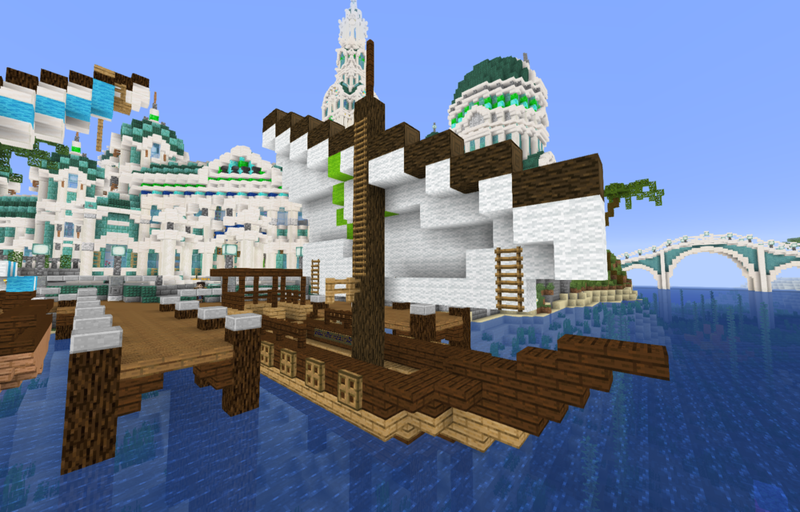 Atlantean Ferry in the City Center docks. The Holidays Have Returned to BadWolfMC!